We’re pleased to announce that Hallmark Hall of Fame’s “Front of the Class” has won a 2009 Voice Award. The Voice Awards are sponsored by the US Dept. of Health and Human Services and several other national organizations, including the Writers Guild of America west. The Awards recognize writers and producers of entertainment programming who have given “voice” to people with mental disorders by incorporating empathetic and accurate portrayals into their productions. Past award ceremonies, covered by the Daily Variety, Entertainment Tonight, the LA Times and the New York Times among other media outlets, were attended by several hundred leaders in both the entertainment and mental health communities. 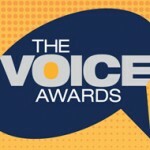 For more information about the Voice Awards, go to: http://whatadifference.samhsa.gov/voiceawards/. Front of the Class was one of 14 TV and film productions chosen from 112 submissions by our judging panel, which included Law & Order:SVU showrunner Neal Baer, Monk Executive Producer David Hoberman, former WGA President Vicki Riskin, actor Mike Farrell and many other prominent people from both the entertainment and mental health fields. The awards ceremony and dinner will take place the evening of October 14th at Paramount Studios. The event will not be a fund-raiser; there is no charge to the invited guests. Our Special Awards recipient this year will be Glenn Close.